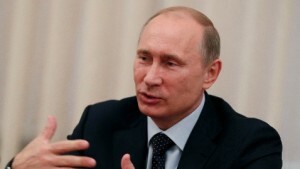 Russian President Vladimir Putin has asserted that Russia will develop a national plan of “de-offshorisation”. The bill, aimed at fighting tax havens will be signed into law as soon as it is passed by parliament. “We are in the process of adopting legislation to disclose the end beneficiary,” President Putin said at a news conference after the G8 summit in Northern Ireland. Putin has stressed that “de-offshorisation” is not a Russia-specific problem, but a threat to the global economy as well. Last week, the president vowed Russia will use its G8 presidency in 2014 to promote tighter regulation of offshore zones and deemed them as a threat to fiscal sovereignty. “It is an open secret that it is in offshore zones that considerable amounts of speculative and sometimes blatantly criminal capital are accumulated,” Putin said in the interview with a Russian news agency. The president also stressed the need to enforce international regulations. “Russia proposes to conclude bilateral agreements with offshore and low-tax jurisdictions … [that] should be aimed at countering illegal schemes of minimising taxation, involve the exchange of tax information and the implementation of universal recommendations developed within the framework of the OECD,” Putin said, referring to the Organisation for Economic Cooperation and Development in Europe. In the president’s state-of-the-nation address last year, he called for the “de-offshorisation” of Russia’s economy and in May this year he signed off a law that bans state officials from having foreign bank accounts. In the meantime wealthy Russians prefer to stock their cash elsewhere, investing heavily abroad in countries such as Luxembourg, Holland, Ireland and Cyprus. The issue of outward investment is hurting not only the economy, but also the investors themselves, as the government cannot always protect its citizens against associated political risks.